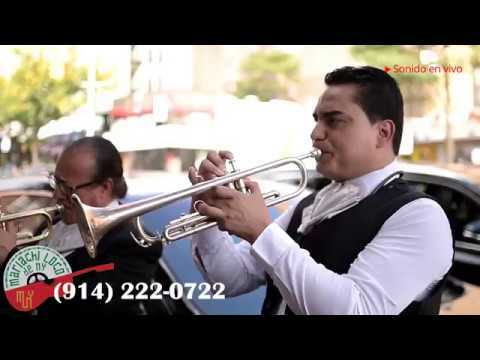 ViolinMen-Mariachi Mendoza can accommodate to your budget giving you from 1 to 5 or more musicians to meet your requirements with high quality performance. We dress professionally with the traditional mariachi suit and sombrero (Mexican Hat). ViolinMen-Mariachi Mendoza was created to reflect the vision of an inspiring, artistic mariachi ensemble. ViolinMen-Mariachi Mendoza plays from the traditional Mexican music to the most recent waves of styles. Ideal for Weddings, Sweet Sixteen's, Birthday surprises and corporate events. Our show is captivating, entertaining, and mesmerizing. Everyone loved the Mariacchi Violin Men. They were very polite and professional. My husband wss surprised and had a big smile on his face. It was perfect for our event because it was in our backyard which is not huge so it was not overwhelming. I loved it . Hola Delia, fue un gusto servirte en tu evento. Gracias por escogernos y quedamos dispuestos para una próxima ocasión. In a class entirely all there own; our Mariachis represent a refreshingly pure and positive image with each performance, captivating many and drawing them near with their magnetic personalities. The best option to stay in budget, a Soloist brings you the best of the Mexican Music, singing and playing Violin along with our professionals sound tracks. Good choice for Serenades, Cocktail Hours, Restaurants, Residential premises, etc. 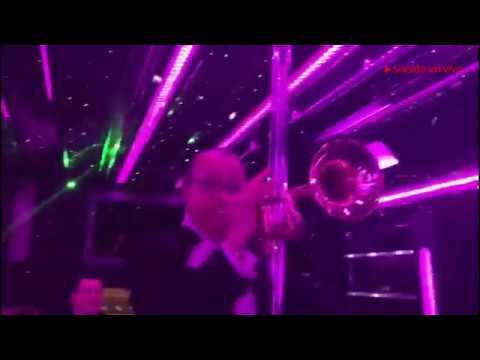 The perfect choice for your serenade at home or office, for small and private places, take three musicians to do your special moment delightful. 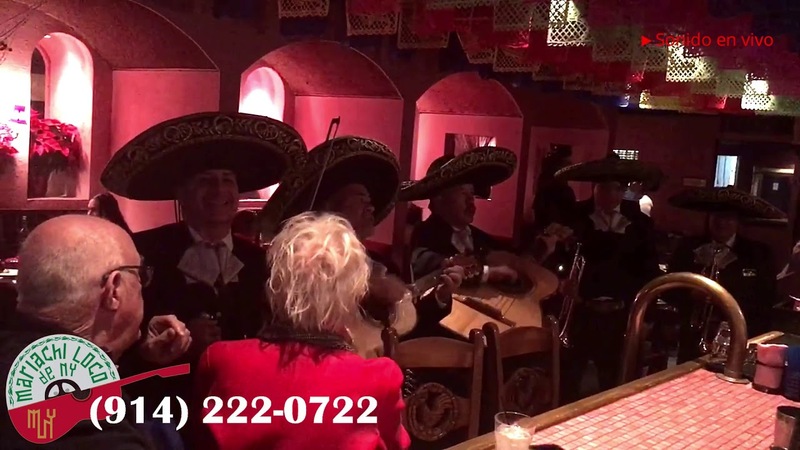 The classical choice of authentic Mexican Music, if you have enough room give to your guests a piece of Mexico on your event trough an authentic Mexican sound of Mariachi. You can choose from 4, 5 or more musicians to fulfill your event. A nice variety for your party! A couple of Mexican Dancers doing a wonderful performance of traditional Mexican Dances. You can book them as a single show or do like a part of any of Mariachi options that we bring to you, to add a spicy ingredient to your event! A Tribute to one of the most prolific composers and interpreters of popular Mexican music: Juan Gabriel. Our performer has been acclaimed how one of the best tribute of Juan Gabriel. He goes accompanied of four Mariachi musicians to do a unforgettable show. ViolinMen - Mariachi Loco de NY, a group that is widely recognized among their audiences and peers as one of the most popular and unique groups throughout the North-East Region. With each passing year they hope to always improve and deliver their best performances and recordings to all of those that believe in them, and have helped them obtain the status they hold today. The continual strength and resilience to always improve to each for higher levels with each recording and performance is drawn from their faith in Almighty God. There are moments that last for a lifetime, but you only have one opportunity to do it right, Mariachi Loco from NY is your best choice. We create special moments for you! 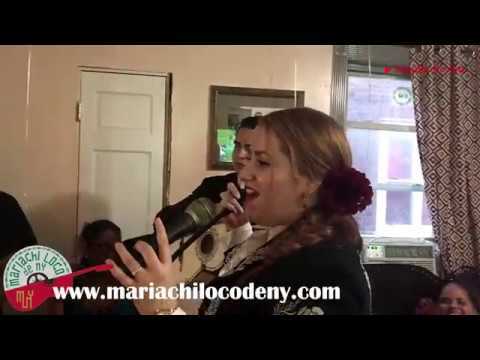 The best gift you can give is a serenade of Mexican music! We offer you the support you need so that it is something unforgettable. If it is your first time hiring a mariachi or you are an event planner, we accompany you in the process so that everything goes excellent. We are the Mariachi that your deserve. ViolinMen-Mariachi Loco de NY was created to reflect the vision of an inspiring, artistic mariachi ensemble. As true representatives of a treasured cultural heritage, ViolinMen-Mariachi is a cohesive, dynamic group that brings a refined talent of expertise. ViolinMen-Mariachi Loco de NY plays from the traditional Mexican music to the most recent waves of styles. ViolinMen-Mariachi Loco de NY is captivating, entertaining, and mesmerizing. "Thank you for making our wedding day special. "Quiero extender mi mayor agradecimiento por el profesionalismo y dedicación que ustedes tienen en su oficio. Esta mañana fué tan especial para mi mama y ustedes contribuyeron mucho a eso. Gracias por compartir con nosotros esa felicidad. De nuevo gracias y que pase un buen día. Le deseo mucho éxito en su negocio." "I extend my greatest appreciation for the professionalism and dedication that you have in your office. This morning was so special to my mom and you contributed a lot to that. Thanks for sharing with us such happiness. Again thanks and have a good day. I wish you success in your business."